I am long overdue to write a blog post here, but I have been busy working on lots of things that I hope to share more of them soon. Recently I was featured on Smart Dummies. If you’ve never heard if it, Smart Dummies is a challenge put on by Dani Duck to create an entire picture book dummy in one month. It’s intense and it is a lot of fun. I have been a participant for the last couple of years and this year Dani asked me to contribute a post for the event. 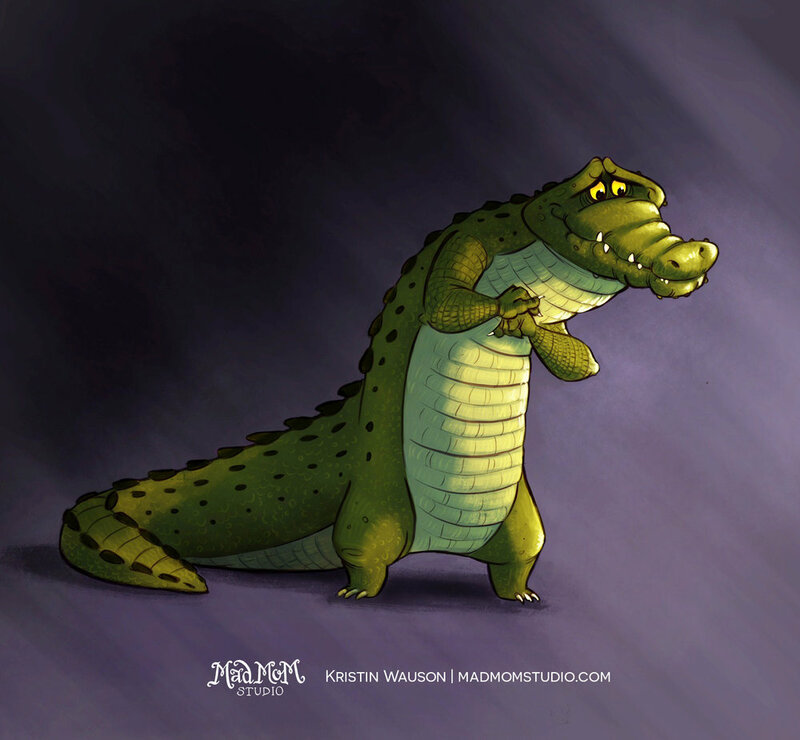 I was honored to be a contributor and I had lots of fun illustrating this alligator character and writing up my process, step by step, to share with everyone. Head on over to Dani Duck’s blog to check it out and while you’re at it, you’ll want to check out all of the Smart Dummies blog posts for lots of great inspiration! Mark your calendar for next year’s Smart Dummies event in September. It’s free! I'm a freelance Illustrator focusing on children's books as well as an SCBWI member. I post about things I'm working on and share advice and tips for making art for children's publishing. We’ve all been there. You work really hard on something. It could be a piece of writing, or art or whatever it is that you make. It’s finally finished and you are pretty satisfied with it and glad to be done. You show it to some friends and family members and they are like, “Wow! That’s amazing! I could never make that.” You're feeling on top of the world. But then you show it to that one person in your life who always tells you the truth. We'll call them, "The Critic." © 2017 Mad Mom Studio. All rights reserved.